I hustle through shortcuts in Kamwokya slum, before I arrive at Kyebando-Kisalosalo, another slum and wetland. Besides Passover Harvest Church in Kyebando is a huge, filthy trench filled with rotting garbage and stagnant water. Across the trench is a cluster of rows of rooms, the kind low income earners rent. One of the rows, comprising nine rooms, is in an enclosure. The compound is concrete, even as the place lacks any grass, it is fairly tidy; not so dusty. Washrooms are also inside the fence. It is a Sunday and nearly every one is home. A man sits on the floor, at his door post, leaning forward on a bench littered with pupils’ report cards, he is recording names in a black book. Another sits in a wheelchair close by, reading a newspaper. Some women sit at their doorsteps cooking, as others are mopping, while others are doing laundry or cleaning utensils. They do all this while chatting and laughing. Children are pretty noisy, playing and running about. Apart from the children I have seen, everyone here is either disabled. 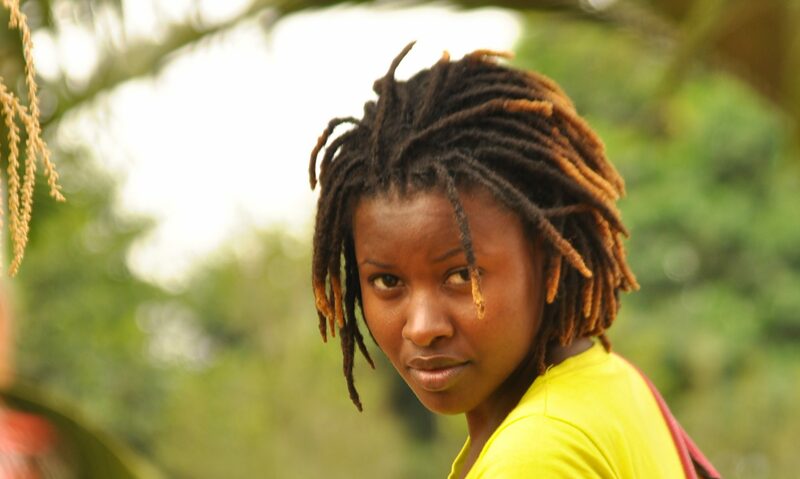 Many people, your inclusive have always wondered where Kampala’s beggars emanate. During the day, they sit begging at the street corners in the city, they crawl from one building to another, but at night, only a few can be noticed sleeping on the streets. Now, this community accommodates more over 100 adult beggars (40 families). They share 20 rooms (beside the nine in the enclosure, there are 11 others outside the fence). “We are very many. Each room accommodates two families because we do not have enough space” said Moses Olar, the man in the wheelchair. He is the secretary of the community. According to their group’s chairman, Julius Ochieng, many of them came to Kampala during the Lord’s Resistance Army (LRA) insurgency in Northern Uganda after the rebels killed or abducted their family members. “During the instability, our lives were at stake. The people who were taking care of us were being killed, so, we decided to come to Kampala where it is peaceful,” Ochieng said. Upon arrival, they slept on the streets for some time until they finally got this home. Those who came earlier eventually invited their relatives to join them and soon, they grew into this large community. It is here that most disabled beggars stay. They flock the city daily to try to make ends meet. It is quite a stretch for them to crawl to town so they take a commuter taxi from Kisalosalo to the city centre, paying between Shs 700 and Shs 1,000 per trip, and the same for the return journey. Olar says on a good day, he makes between UgShs 3,000 and UgShs 5,000, from which he deducts his transport fare and spends the rest on food for his family. Thus, most of them take their children along to beg, so they can increase the family’s income. Each adult pays a mandatory Shs 2,000 at the end of every month, which they pool to pay for services such as emptying their latrines and keeping the surroundings clean, among others. Ochieng says a woman he only knows as Lisa owns these houses. She offered the beggars accommodation and does not ask them for any money. “That white woman came to the streets in 1995, got us out of there and brought us here. She gave us the rooms with beds and mattresses,” Ochieng says. But although they do not pay for rent, they have to cater for their meals, well being, clothing, and their children’s education. This is the reason they give for continuing to beg. 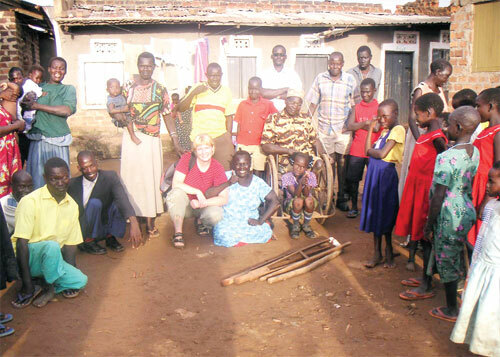 Information from the foundation’s website, Lisa came to Uganda from Denmark in 1995 and established a school for the needy on the property that now houses the community. The school, however, collapsed, as the project’s coordinators became greedy. Some say they own land at their ancestral homes, but have no money to develop it, yet they cannot work for it, because of their state. They claim that the government has not helped them either. “The authorities keep rounding us up from the city, but they have not taken time to know what our problems are. They ought to help us,” says Olar. Begging is now their way of life and changing it will require alternatives that guarantee some basic income. Until such a substitute is found, the daily journey of these crippled men and women from across the trench in Kyebando-Kisalosalo to the city streets will continue for years to come. Yesterday afternoon, my adventurous self led me to Kibera slums. 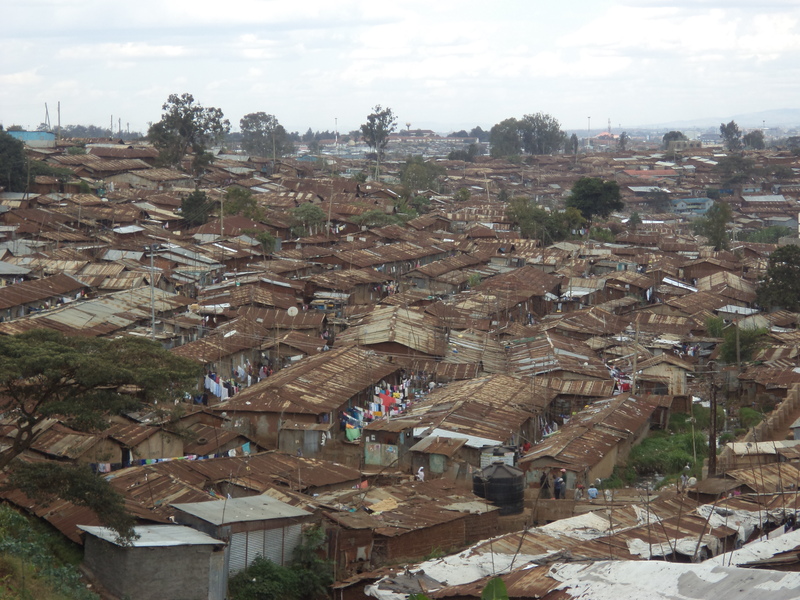 Kibera is Kenya’s, East Africa’s and one of sub-Saharan Africa’s biggest slums. Even as I prepared to visit, I knew it wasn’t a safe place especially for a stranger like me, and more so a foreigner. I tightened my belt, decided to dress casually (a boyfriend top, jeans and boots), carried no bag, crazed my baby locks and looked very simple so as to fit in the environment. It was about a 20mins or so drive from the Nairobi city Centre in a matatu (public means) and I arrived at a rather congested place. The moment I jumped out of the vehicle, I felt Insecure already, people hurriedly moved from and to every direction, people of all kinds, children, men and women, some smart but many of them dressed in dirty clothes. As I waited for my friends who would guide the tour, I inevitably stood amidst this confusion, loud music of all flavours cutting through the waves, and hitting my ears, the people, walking and running past me, noise- these one shouting, children crying, many playing , while some laughed aloud. The best I could do was to stare and stare and stare. This brought out the stranger in me, and got me excitement and afraid at the same time. One, I was excited because I was about to explore and this is something I really love to do, two, I was afraid of the people I was about to meet and how they would behave towards me. Finally my friend Robert Odingo was here and we started our tour. “I feel insecure,” I told him. “You better be,” he replied. Robert knows Kibera much more than I do, he works with the Hot Sun foundation, a project seeking to transform lives of youth in this slum through visual arts (film making). They run a film school sponsored by the Belgian Embassy. I got confortable the moment I got him and soon he led me to their offices where we met another friend Wycliff. Wycliff is kibera himself, he told me he was born in this slum and has grown up here, he knows every corner of the eleven villages that make up these slums. “You are safe with me, I know everybody here, and no one can touch you,” Wycliff assured me. We were good to go, for sure, everywhere we passed, everyone greeted him, I was to secure, I thought. Although they had given me an assurance that i was safe, i feared everyone who came close to me, I was cautious not to over look at people as i feared what their reactions towards a stranger would be. One thing about this place like in any other slum, the people make it what it is, the population, the people are many, doing different activities. Women sat at their stalls selling vegetables and commodities, some sat frying fish, samosas, roasting meat among others. Men, majority of them drunk, stand or sit by the paths vending commodities like shoes, used metal , electrical appliances, to mention but a few. Children played, everywhere, in a trenches, by the railway line, in ditches, they seemed not to care. Many ran from up and down and looked like they enjoy the life they live. There is something about the people here, they are happy. When you have a view of the houses before walking there, you may assume there are no walkways there in-between, they are there, very tiny though, you need to be careful as you walk as you may not avoid stepping in dirt , stool and stagnant water. The houses, bent and on the verge of collapsing, many built of mad and wattle, short, and congested, you may assume no people live here, yet that is a lie, there are thousands of residents in here. Many of the hoses you see here are also video halls. But almost each roof here has an antenna, it is crazy how there are so many video hall then. There are also a remarkable number of bars; some people sell the liquor in the same houses in which they reside. Be sure to jump over trenches every after a minute, be sure to step over garbage, dirt water and sewage flows freely in here, may be in front of someone’s door, but still one prepares the food they eat just there, next to the trench of sewerage. There is a railway line cutting through the slums, it is a long one that when followed leads you back to the city Centre, a lot of business take place along this line, vending of clothes, shoes, food commodities among others. My visit was a Sunday afternoon, people her do pray, there are churches around the slums but there is a remarkable number of ‘Legio Maria believers, a group of believers who dress on white robes and walk around in groups, their churches are more or less the houses in which they live, Wycliffe told me this is a sect that seceded from the catholic church and they are quite many her in the slums. There are other faiths too, not only Christians, Muslims too, it was Eid day, and there were a number of them. Kibera slums are a mixture of all cultures, for the few hours I spent there; I met people of all kinds, speaking different languages. The health here like in other slums leaves a lot to be desired, the drainage system is too poor, people ease themselves at convinience, anywhere, by the road side, by the railway line, in the trenches, next to a restaurant or even near the door. This poses a great risk to their health. Some projects have been put in place to help keep health standards like building public latrines but the population is way too big compared to the facility. The security, just like I felt insecure because of the way people are rough, this place is not safe especially to strangers. There are many bars, drug abuse is on, i met many of the kind, this gave me a picture of something like crime rate is significant. For instance at the time of my visit, there was a guys, who seemed like a drug addict, he was gambling with kids, one thing that really amused me is that here, there is no police as such, but community policing is really in place. A leader here, was forced to arrest this man together with the children and take him to the chief’s place where i was told they would be punished. To also enhance the security, the government put installed flood lights to make sure the place is bright even during the night. Of recent, there are so many projects coming up jeered at helping the ghetto dwellers, many by NGO’s and others by the government, helping drive behavior change especially among the youth, they hope this will change the way people here are perceived and have an impact on the way they live. I also found something rather interesting about these slums, they are located at the other hand of a magnificent place, a road only cuts across, you literally see riches shaking hands with poverty. I could not tour all the 11 villages in Kibera slums but after the few hours, I just got another view about life. “While some people live, eat and sleep well, others just survive to see tomorrow.